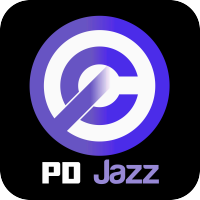 Public Domain Jazz is a Internet radio channel operated by the Public Domain Radio, launched in 2002 as a program channel of RadioCrazy Classical&Jazz. With a focus of public domain- and restricted content the channel playing genres of Jazz and Swing released before 1945. This page was last modified on 24 April 2019, at 15:53.